The 80's Toy Ark: Make way for Fairy Winkles! 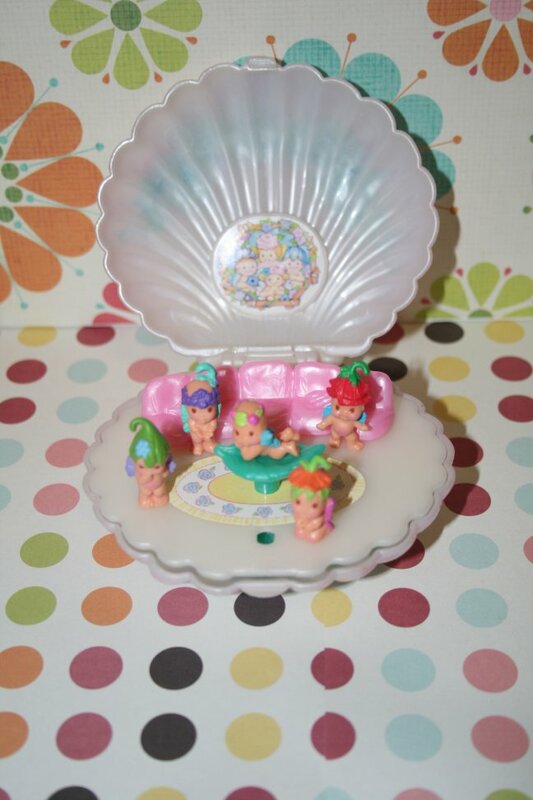 Fairy Winkles are tiny fairy toys from the mid-1990's. The whole sell was that they hide inside regular every day objects. Although I was a little too old for them when they came out, I thought they were cute and bought some for my little sister. Later, I decided to get some for myself and now I let my girls play with them. 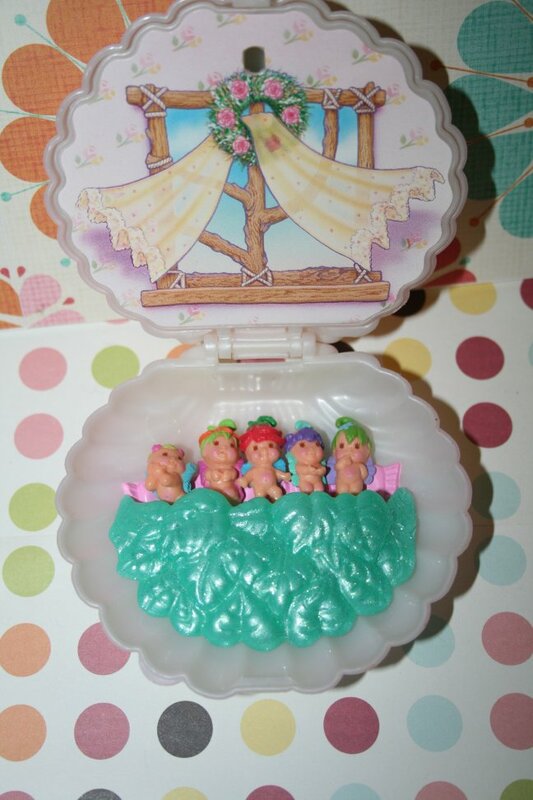 Today we have the SWEET DREAMS COMPACT! Say hello to Cozy, Dozy, Stretch, Yawn and Snug'ems. They are tiny fairies called "Weewinkles!" These guys are only about an inch tall. They live in the sweet dreams compact! The compact separates into two compartments, a living room and bedroom! 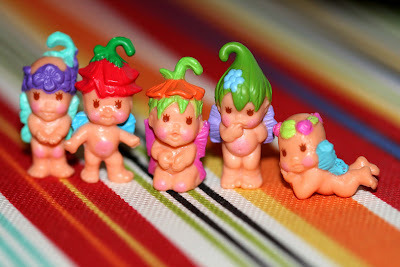 I'll be showing more of my fairy winkles as I grab them out of storage. I just think they are adorable. This set is complete and the names were found on the packaging.